to language learning is here. 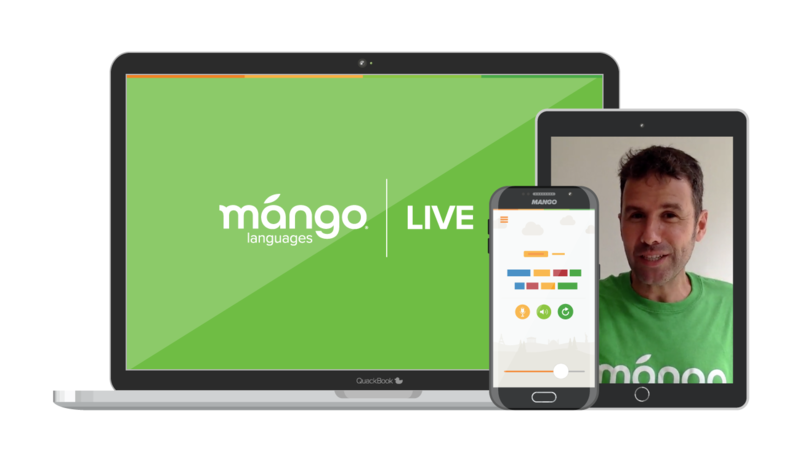 Mango Live is an integrated, mobile, and flexible solution taught by language experts who are also professionals on Mango’s proven methodology. Now users can transition between online and instructor-led learning options to achieve ultimate learning goals that fit individual, unique schedules. If you’re looking to make a decision on purchasing Mango Live, or just need more information, just fill out this super short form and someone will be in touch shortly! For any business needs, call 1 (248)254-7450 x854 to speak to Brian, our friendly Mango representative. Watch our series "Guten Todd." When two friends are asked to relocate to Germany, craziness and confusion ensue in this 6-part series. We follow Brian and Todd through their German-learning journey and find out it's not 1993, not all tutors are equal, and throwing a "partai" can be difficult. Still have a few questions? Check out our FAQs or drop us a line.